Well, I am just an ordinary guy enjoying the most extraordinary thing of Today’s world I.e making the most of Internet. In other words, my name is Shahid Javed, Founder of RVCJ. I am an MBA graduate which helps me to understand this big potential social media market and capitalize on various aspects of it. My achievements so far are to get honored enough by being interviewed by you (Laughs). On a serious note, my achievement in my life was to create RVCJ page and chose the path less travelled. Spent my childhood and living my adulthood in Amchi Mumbai. I guess this will explain a lot about my BACKGROUND ! ! 1. What is Rajnikant v/s CID jokes ? Why did you name it such ? The answer lies within the question itself. It is all about JOKES. Anything funny, humorous and sarcastic, basically everything that lights up a smile on a human’s face gets shared on our page. The idea of creating this page was a result of series of instances. Back then in 2010, Rajnikant sir’s movie – ROBOT was released. The catchy lines and crispy funny quotes from the movie were gaining quite a lot of popularity which were getting shared on many Facebook pages and on BBM group chats too. Also, by that time, CID TV Series were rocking the Industry by doing many promotional episodes with Salman Khan for his upcoming movie like ‘READY’ and ‘BODYGAURD’. Social media users were taking a dig on these two subjects individually. So I decided to fuse the subject together where I would share the content from both of these subjects. And from there itself, the best chapter of my life was scripted – Rajnikant Vs CID Jokes. 2. What made you start such a page? Did you have any inspiration ? What is your employee strength and office culture ? It was just out of the blue. Honestly speaking I had no plans for it. I always liked funny and humorous content. They always make you feel LIGHT. Back then, CID and Rajnikant themed subjects were becoming viral which definitely showed the signs of good potential to tap on. The two subjects were showing good individual progress, hence the thought about fusing them together and creating a new page was the most certain thing that came across my mind. So there was no inspiration for me to start off with this experiment. It was just a time pass at that point of time. Although this very time pass is now the only thing which consumes the most of my time and I have no regrets. I love it. We manage more than 20 content writers by maintaining 4 individual groups for each writer just so as to DISCUSS THE TOPIC, ASKING FOR THUMBNAIL IMAGES, PROOFREADING THE ARTICLE and at last THE PAYMENT GROUP. With all the mathematical calculation, the total conversation that we have to go through is roughly 80 just for the content writers. There are more than 14 meme creators along with content designers. 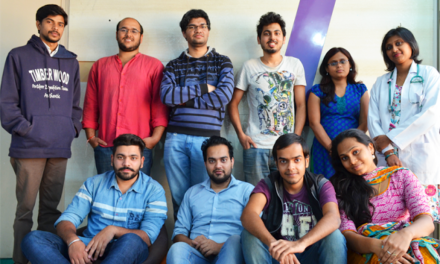 Now the most interesting part is that all these members are working as freelancers from many cities across India. Only a few of them have met me or each other in real world. In order to keep our Facebook page updated, we work almost 14-17 hour every day which includes posting memes and text jokes along with handling content writers and replying back to our subscribers. 3. What is your revenue model ? Any special moves you play to attract users to your page ? Jokes are never going to pay your bills unless and until you are not a stand-up comedian with no stage fear and good command over the language. I was expected to get ‘A REAL JOB’ which was quite frustrating but true at the same time. ANKIT and Harpreet bhai came into my rescue. 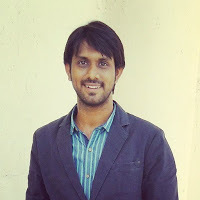 Ankit is an MBA graduate who had and still has more knowledge about Facebook algorithm than me. In order to attract more users to our page, he started posting out memes which were basically IMAGE POSTS which have more reach among the audience. I used to post only TEXT Jokes which had quite a few reach as compared to IMAGE POSTS. And this is how we managed to attract more users to our page. Talking about revenue model, more than 70% of our earning comes through Google Adsense and the rest 30% constitutes affiliate marketing, 3rd party ads and direct client promotions. 4. Any differences you’d like to point out between RVCJ and other viral content and jokes pages like Wittyfeed, Bakchod billi and more ? Well, we all are a part of this big ecosystem. Our basic structure is the same i.e. to share humorous content. But what really separates all of us are our takes on serious issues. I don’t want to take names but I have seen many Facebook pages instigating a war or hatred like situation on their page by putting up controversial posts on RELIGION, NATIONALISM and many such things. People engage in fights and these Facebook pages get the share of their pathetic work. RVCJ is totally an unbiased Facebook page. You will see all the Politician jokes, Bollywood jokes and many such things. And we always make sure to spread positivity by sharing good harmonious messages which in no way sparks any religious sentiments outbursts. Apart from these small petty blackhat SEO tactics, what makes us different is the fact that we dedicate almost our entire time for RVCJ page unlike many other pages who keeps their post for ‘Schedule Post’. I still remember the time when Ankit’s NANI expired and he had to go to his native place in Parbhani, Maharashtra for 3-4 days. Even at that point of time, he was posting updates on regular basis without any delay and made sure that page was kept active throughout the day. Right now he is suffering from Fever and has temperature around 102-103 degrees, but he is still posting memes and news article. And moreover that, whenever Harpreet have to go for some work for more than 3-4 days, he always make sure to schedule the posting of article for the following days. Such is our Passion & Dedication for our Page. 5. What made you continue work on RVCJ and keep the page lively ? What are your views about startups ? Balance is something that is the most important aspect to stand in your life. Balance between the work in which you believe in and your personal life is the determining factor for the success of your startup. People constantly text us about the problems that they go through in their life. I am not a big psychiatrist or a good listener, but it feels good when you convince them that ‘YES, there is something more in this life than just sitting and wasting it’. Throughout this journey of mine with RVCJ, and I am not making this up, more than 1000s of people have contacted us where they had plans for committing suicide ! For the first time when we encountered this situation, we were all dumbstruck, but after talking to them on personal calls and listening to their views about how our page make them feel good and positive about life by reading our funny posts. Such precious moments on these phone calls made me work and continue with my passion. 6. How do you decide on what content is to be uploaded on your page ? Do you use any references for your posts or take input from your subscribers ? Well it is anything and everything that finds its place suitable enough to come under the category of words like HUMOROUS and FUNNY. But as a great man once said, “WITH GOOD COMEDY, COMES GREAT RESPONSIBILITY”, all of us always try not to touch on sensitive issues like Religion, Feminism and many such things. It is not like we are afraid or something, it is just that Indian audience is just not so prepared to digest these jokes as JOKES. Apart from these controversial subjects that don’t find their way on our Facebook page, the posts that are usually shared on our Facebook page never gets the good fortune to be shared along with its original creator. And this is due to the fact that these posts are shared for so many times that it becomes practically impossible to track down the original creator. More than 80% of our Facebook posts are created by our meme creators and the rest of the jokes and posts are indeed some of the finest works of many of our subscribers. 7. Who all helped you out ? What is the story from ground level ? During the first year of RVCJ, it had only 30-40k odd subscribers. I used to post only text jokes which were less time consuming for me. The page wasn’t growing at all. But after 1 year, Ankit who was still studying back then joined into the team and started posting memes. Now Facebook algorithm is the most important thing which I had ignored. 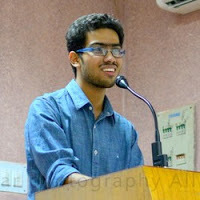 Ankit was smart enough to assess it and posted IMAGES which had the potential of maximum reaches. And after that, the page started growing like a monster. Ankit has a very big role for making the page what it is today and making my dream come true. It requires a big heart to help someone achieve his goals when you haven’t met him at all. After that, we decided to commercialize RVCJ. 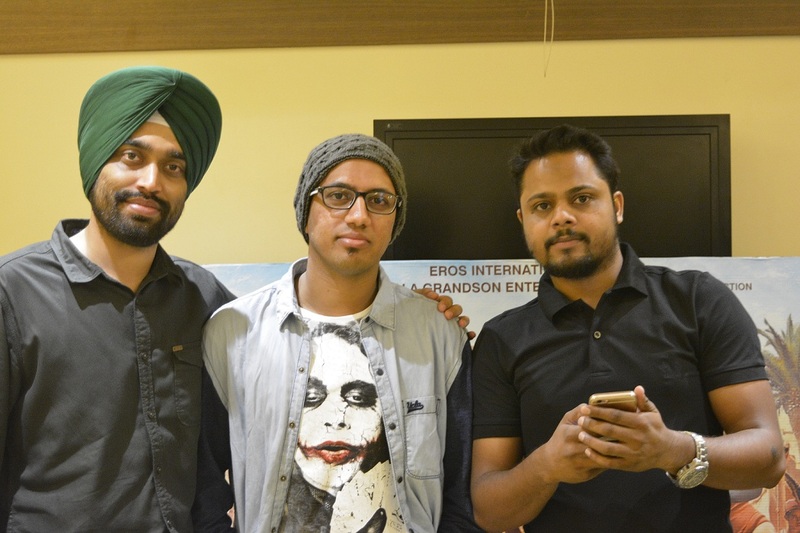 And then Harpreet Bhai came into our team which was the turning point for our lives. 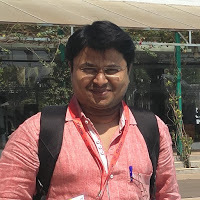 He is an IT Expert and was working as a Technical Head in an MNC. He brought up the website with the best SEO optimizations and from there itself we started out to make a living for ourselves. It is just because of his effort and hard work which made our website as one of leading Indian website in Alexa rankings. Apart from him, Piyush Dwivedi has also been with us since the beginning of our days. Ankit had the humor, but it was Piyush who designed all those memes and picture collage through his photoshop editing skills. Nowadays it seems easy to create a meme as there are many android apps, but making a meme back then took a heck of our time. Later on, we all learned a lesson or two from him for making memes on our own. He is Ankit’s school friend and they both have done wonders for our page ! ! Its quite hilarious to recall this fact that Ankit and I have been working together since 2010-11 but it is just few months back (probably late 2015) that we met even though the company was fully operational. Harpreet met us comparatively much before. 8. Would you give some information on your educational background, your home environment and some incident which made a curve in your life ? I am an MBA graduate with a certificate. In India, certificates are more important than your skills. I am married to one of the directors of RVCJ, in a way she is indeed my boss. Have two beautiful and notorious kids who constantly reminds me that I am no more a just a GUY in his 30’s. I am a DAD right now ! ! There was a time when I was wondering about how it would feel to be like DAD. And today I am clueless about how the heck they could unlock my phone and install Pokemon GO game ! ! There are certain incidents in your life that gets crystallized deep inside your memories. I still remember how lost was I way back at that time. I was running a franchise of Jumbo king Vada Paav which was a loss making venture and the loss was more than 20 Lakhs. This was the time when I was somewhere in my mid 30s. I had to keep up with a 10-6 hour Job so as to pay off my bills and after office hours, I used to rush for Shop. All that while, I NEVER STOPPED MANAGING MY PAGE. My work hours would stretch anywhere from 17-19 hours. It was so disheartening to address the fact that I became a BANKRUPT at such an early stage of my life. However, Harpreet’s entry changed everything and that was definitely an incident which made a sharp curve in my life. His IT knowledge helped us sail through the rough tides of the life. He was the one who planned our revenue structure and business model. He was the one who gave us hope that social media is not just about posting memes and jokes, it a big potential market. He was the one who made all things happen. Whatever we are today, he has one of the biggest role in it. He is indeed a savior for us. Well, there is nothing interesting about the founding day. It was just like an ordinary day. But whatever happened after that throughout the journey was extraordinary. I never had thought that one day we will be interviewed for this Page. Deccan Chronicle was the one who took our first interview and that moment is still one of the best memories that I have. That was the time when we patted our shoulders and finally agreed that ‘Yes, we are now SOMETHING’. Later on we got full coverage on Navbharat Times and on Hindustan Times too which boosted our confidence. Basically every single milestone that we complete is a special memory for us. I still remember how good it felt when we completed 10 Thousand likes on our Facebook page and celebrated it by sharing e-cakes and stuffs. Each and every member of our Page was excited. It was fun and madness. But now I know why that madness was so passionate back then since it was a life changing seed that we roped then. 10. According to you what are actual ways to hack the virality ? Always stay updated with the trending topics. You need to understand how the market is flowing. Many famous YouTubers are now becoming an overnight sensation by just a bunch of videos and that is just because they were successful enough to tap into the virgin market that was not tested in India. Prank videos and vines were usually trending back in West, but then this trend came into India and now we see every other person performing a social experiment which is in a way quite good. For creating a viral content, you must be creative so that people like your idea, you must keep it short as India is a data deficient country, so smaller is the content, better it is and at last you need to be a bit of LUCKY. The blend of these three entities certainly holds the potential to create a viral content. PreviousYashraj and Yuvraj – 17 yrs Young Researchers.